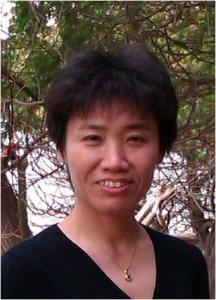 Professor Wang was graduated from Fudan University and obtained her bachelor’s degree and master’s degree there. She then earned her PhD from University of Fukui, Japan. In 2007-2008, she was a visiting research fellow of University of Texas Health Science Center at Houston. Presently, she is a professor and doctorial tutor of School of Life Science, Deputy Director of Institute of Rheumatology, Immunology and Allergy (IRIA), Research Director in Ministry of Education Key Laboratory of Contemporary Anthropology at Fudan University and Investigator of Fudan Institution of Taizhou Health Science. In addition, she is a committee member of Shanghai Rheumatology Association. At present, she is undertaking the general program granted by Natural Science Foundation of China (NSFC), Shanghai inter-government cooperation project, the subtopic of major preclinical research projects and holds the grant of NIH-UO1 project as Site-PI. She has won the first prize of Shanghai Science and Technology progresses, Fuxing Biological Medicine Prize of School of Life Science, Fudan University in the year 2009 to 2010 and Woman Pace-Setter of Fudan University in the year 2003 to 2004. Her major research directions include 1)genomic and molecular pathogenic study of rheumatic and autoimmune diseases like Scleroderma and gout and 2) genomic and epigenetic study of the pathogenesis of tumors such as lung cancer.